daily activities and major projects at his designated Ministry of Posts and Telecommunications. The new Secretary General has so far visited the main departments and units of the central administration. He also presided over his first ever coordination meeting with the heads of structures on Tuesday 31, 2018. In his opening word at the coordination meeting, Mr. Saoudi expressed delight for being reunited with his colleagues and classmates by the presidential decree declaring that the task is quite challenging, so he requires the help of all and sundry to enable him take on the challenge head on as they all work in collaboration accompanying the Minister as she executes the tasks given her by the state. In this address Mr. Saoudi related his enthusiasm, dynamism, assiduity, bilingualism, openness and spirit of collaboration. Minister Minette Libom Li Likeng at the installation ceremony particularly commissioned the new Secretary General to work towards the development of the digital economy, for that is the main task entrusted by the Head of state to the Ministry of Posts and Telecommunications as the government works hard towards a digital emergence by the 2020 threshold. The Minister also spelled out the daily task of the SG, which entails coordinating the affairs of the central and decentralized structures of the ministry and ensuring the permanent capacity building of the staff. He is also called to follow up the activities of institutions under the Minister’s supervisory authority, all of these to be carried out under the guise of the Minister as stipulated by the regulation in force. 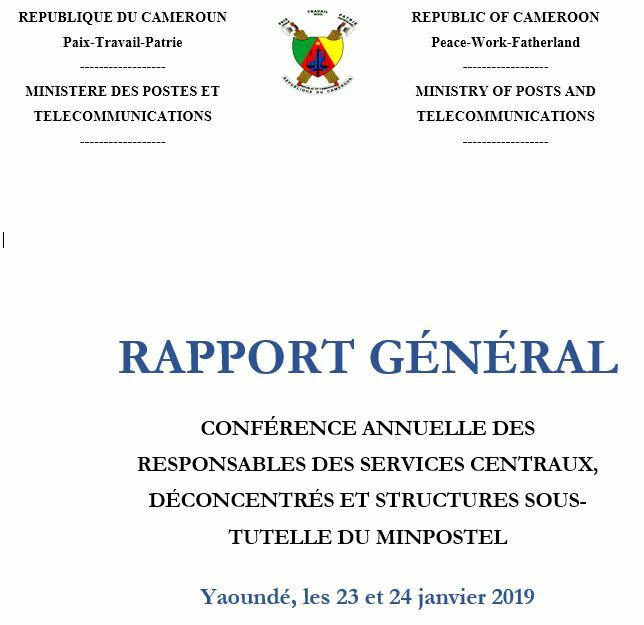 The new Secretary General of MINPOSTEL Mr. Saoudi is a senior inspector of Post and Telecommunication who returns home after 13years of service in other challenging administrative positions. He is also a patriotic municipal counselor, a husband and father of nine children. He promises to offer nothing but the best of his services as he upholds the confidence reposed by the Head of State on him by assigning him to this challenging task.